It is not a problem to leave Osaka if it is within the time! 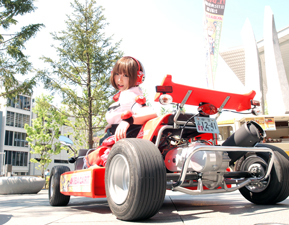 Akiba kart can be used for many purposes such as filming a video for YouTube, celebrating birthdays or for those who want to buy a kart. The more people participates, the more enjoyable it gets. 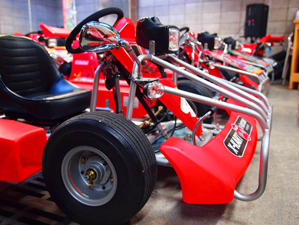 If you are trying to have a fun experience in Osaka that is one of a kind, Akiba kart is perfect for you. There are ten karts available at once. You will feel the attention as soon as you get on a kart and drive around the city. We can arrange our karts for promotions as well. We can decorate karts with your company’s advertisement. If you are interested in the use of the promotions, please feel free to contact us. 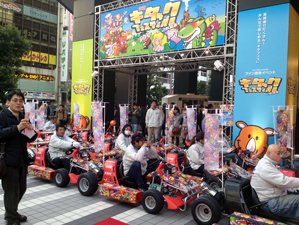 ■Is Akiba kart really allowed to run the public road? as long as you have a driving license. Akiba kart even has a number plate. Akiba kart can reach 60km/h as fastest. As long as there is a road sign to regulate your speed, legal speed will be 60km/h as well. 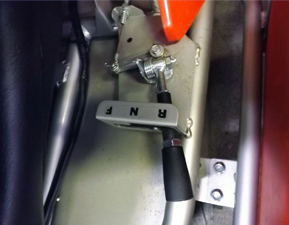 There is an accelerator on the right pedal and the brake on the left side. You can choose the colour of your kart from red. 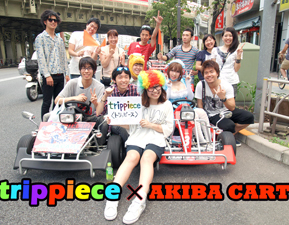 Akiba kart uses an automatic transmission. Gears are on the left side; F as forward, N as neutral and R as back. Of course, Akiba kart has features such as a turn signal and a hazard light. 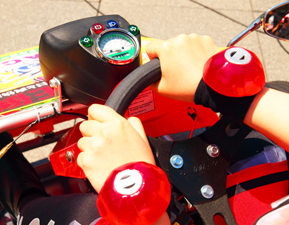 Since Akiba kart does not have power steering, the handle can be a bit heavy. The seat is adjustable. People whose hights are between 150cm to 185cm can easily fit in the kart.